The challenge of being a smart girl in a farming family of boys in Texas in 1900 can be captured in that simple exchange between Calpurnia and her brother. And it doesn’t end there. How do you hold on to your dreams and dignity when everyone around you dismisses you as a non-entity because of your gender? 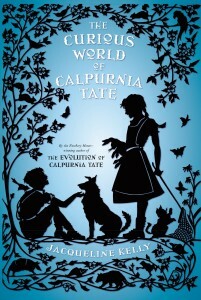 An age-old question, captured well in this children’s book sequel to The Evolution of Calpurnia Tate. I generally like the writing of Kelly’s books, with the one exception of an unnecessary slur on the Jewish community, which really was completely unnecessary. But since it was only one sentence, I’m willing to write it off as trying to offer an historically accurate children’s book. The Calpurnia series also brings in a serious interest in science, which is also a great boon for young girls who continue to find themselves in a minority in scientific fields. There are lots of scientific details that will satisfy budding scientists and at least pique the interest of those who might not be inclined that way at all. I find this children’s book is more about character than historical fiction, so I didn’t label it that way simply because it is set in 1900. In many ways the interactions between the family members are more compelling than any details of life at that time, and to me, historical fiction often but not always includes some famous person or event in history. The most important element in the book is the lovely relationship between Calpurnia and her grandfather, once again reminding us of the value of grandparents in children’s lives. This children’s book can be read on its own, though it is slightly more satisfying to have met the characters in the first book.